Its actually a movie . Made by Animeghibli . Catagory - Slice of life , war and romance . 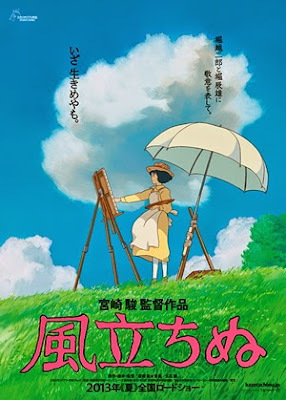 The stroy is about a boy , Jiro Horikoshi , who wants to be an aeronautical engineer . But his home , Japan joined in the 2nd world war and he has to design aircrafts for war . The boy worked in Mitsubishi company for desingning fighter plane , but his work fails . Like this he has to face many failures . But his story actually shows us the dedication of a true engineer . The engineer's icon is an Italian designer and he talks about his opinions with him in his dreams . But actually he talks with himself ! The story devolops gradully and it has a tragic ending . But the movie itself deserves our salute . We must try to live!